One of the key emerging trends is the idea of “Original”. Original can mean many different things, but most notably intensifies the need to express ourselves, to connect and to collaborate. The idea of original begins with an emotion, an independent thought, or a new approach. Original is empowering and reflects a very personal journey, a hope to inspire or a need to connect. Companies need to find opportunities to applaud, or even better, co-create unique styles and original substance. Paying close attention to convergence across any device will energize creative occasions. 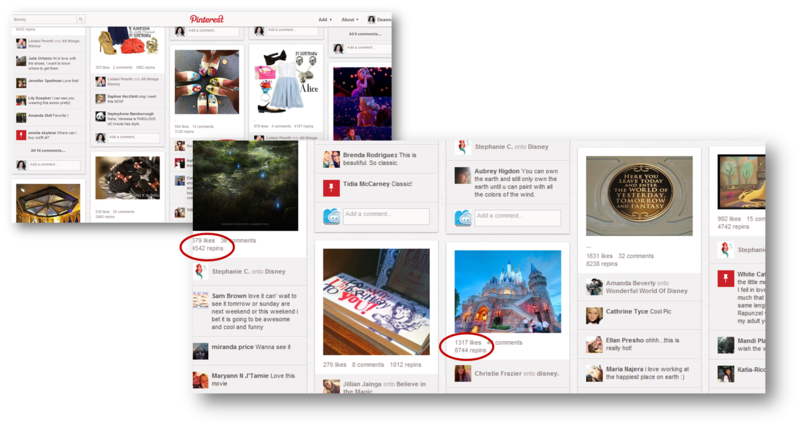 Enabling people to create / consume original content wherever they are supports real-time social experiences. “Mobile convergence will energize a system of experiences and occasions, each filled with opportunity!” For brands…this means always enabling, always listening, ready to respond and adapt. Super Bowl XLVI…is once again more than a football game, and the social aspect of the game is more than simply breaking Twitter records. This year Super Bowl XLVI will create connections. Viewers are expected to use mobile devices at unmatched levels and the demand for mobile interaction is tremendous. Immediate, direct access to “more” is expected, and brands are challenged to create spectacular interactive experiences. Promises of brilliant content are certain, but tremendous value is most often created when fans discover, conquer, own, and share stories about who they are and what they know. Creative brands will be prepared to listen, will adapt quickly and respond with authentic messages. So, what is the outcome? Emotional connections, possible when brands nurture dialogues and support the role of people in the process. Honda has had great success with the early release of the Ferris Bueller’s Day Off big game commercial. The video already has more than 8 million views, great news for Honda as they launch the all-new 2012 CR-V. Still,with almost 60 hours of video uploaded to YouTube every minute, imagine the possibility for unique opportunities. Enable people to capture original video and celebrate the imagination of people in real-time, as they are watching the game. Living, breathing, and ever-changing content. Coca-Cola® has given their Polar Bears permission to throw a Super Bowl Party. While watching the game, the polar bears will be chatting with, so far, more than 18,000 friends. As of now, the popular hosts have only invited a little more than 64,000 friends via Facebook. Chevy has become a resource for those wanting to track tweets per minute and see who is sharing content in real-time. Chevy has also reached out to Detroit Labs to develop a great mobile app. The Chevy Game Time App offers viewers a chance to interact with exclusive content, get real-time stats, and be a part of the game with live trivia. At this point are we fans or players? Players can win 1 of 20 Chevys and other prizes. Xbox LIVE Gold access will be free February 2-5. Xbox wants to make sure that fans experience ESPN via Xbox LIVE. The Super Bowl is ideally targeted and Xbox will extend the brand’s experience with Madden Bowl XVIII! On February 2nd, NFL players and celebrities teamed up in a 3-on-3, playing for the coveted title of Madden NFL 12 champions! I like this idea, but would love to see real-people also involved. Celebrity overload I guess. During Super Bowl week, the last thing some of us care to see are more celebrities. Consider the value of social media…Loyalty and Learning. Then add the perception of “people” defining their personal value by what they share. Now consider the passion and true emotion within sporting events. This is only the beginning, the 2012 Olympics are only a few months away. The games will further test brands to create strong resources and enable “my” Olympics. This trend report has been created to help you prepare for, and bring about, a very different approach to business in 2012. Moving beyond advertising and marketing, we suggest a collaborative business design, one empowered simply by the ability to create sustainable connections. Google h as released the final version of Life In A Day via YouTube. In an inspiring example of co-creation, thousands of people from 192 countries, uploaded 4,500 hours of life to YouTube on July 24, 2010. The film’s executive producer Ridley Scott and director by Kevin Macdonald have captured a global moment in time…life as it was on July 24th. Just Picking Grapes or…Harvesting Our Next Occasion? We came up with this title after viewing two very different YouTube videos, from two very different winemakers, showcasing their most recent harvest. Although both showed grapes being picked, they each told a very different story. One video from Benziger Family Winery, was simple and shot in the vineyard. It was authentic, and captured the heartfelt excitement and enthusiasm of a new harvest. It highlighted happy family members, to include a new granddaughter. It highlighted happy workers, as well as people proud to be taking part in this exhilarating, meaningful and most important process. The other video from another well known winery, was edited together in an editing room and appeared as a theater quality production. It may have even contained credits. It showed people picking grapes, but it looked more like a job, rather than an occasion. Can you guess which one of these videos created an emotional connection? When buying a bottle of Benziger wine, you feel like you are donating to the cause, not just adding to a company’s bottom line. A brand’s smart use of social media platforms can create and nurture sustainable emotional connections. Through authentic and non-intrusive interaction, a simple engagement between brand and individual can develop into a lasting connection. As we noted within our recent report, people are keen to define and build trusted resources, as they are soon to become important elements of true influence for purchase decisions. For brands, authentic content and messages are the first step. Engagement alone does not create influence or a likeliness to share…Influence and involvement arise from nurtured interaction in the age of all-of-us. So, are you just picking grapes? Or, are you harvesting our next occasion? As you make social media decisions (what platform, what channel, who will handle social media, etc. ), remember: Be authentic and make your message lead to an occasion!